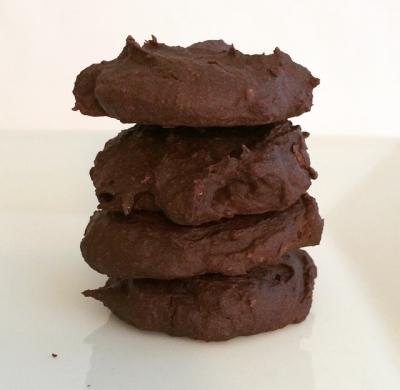 Chewy, soft-baked, and healthy chocolate cookies! 1.Preheat oven to 350 F. Line a baking sheet with parchment paper (or spray with cooking spray). 2. Blend all ingredients together. 3. Drop batter by the tablespoon onto the baking sheet. 4. Bake 10 minutes or until done!